With a long growing season, with frosts occurring infrequently in January or February, gardeners in Central Florida have two periods annually to raise homegrown tomatoes. According to the University of Florida Extension Service, plant tomatoes across this region in February/March and again in September. 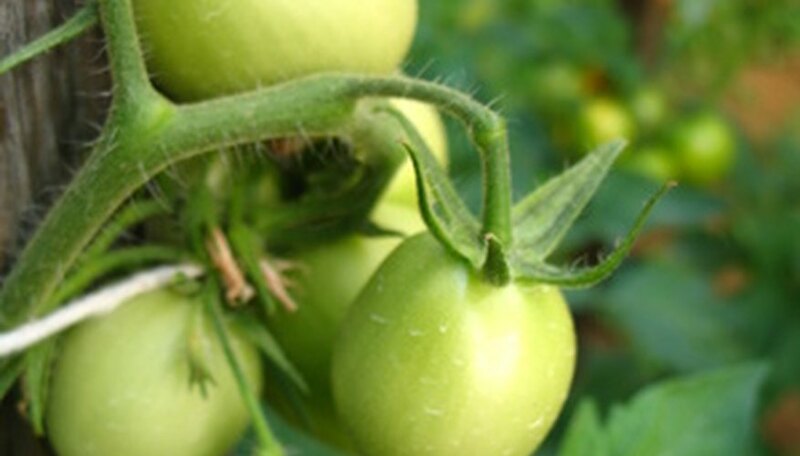 Avoid tomato growing across the oppressively hot and humid summer, since because high heat impedes flowering; daily high temperatures in the low to middle 80s F is ideal. The Better Boy tomato variety is an indeterminate plant, meaning its stems grow like vines, reaching long, indefinite lengths. These vines are often staked to prevent the canes and fruits from coming in contact with soil. This variety produces large, red fruits and is particularly well suited to the fertile sandy soils in Central Florida as it has a resistance to root-knot nematodes. It also tends to resist fusarium and verticillium wilt fungal diseases. Perfect for salads, the red 3/4- to 1-inch sized fruits of Sweet 100 grow upon an indeterminate tomato plant. Stake the vining stems of this cherry tomato variety. As many as 100 small fruits grow in a "hand" or architectural branching cluster on the ends of stems. If you can acquire seeds of the Flora-dade tomato, it certainly is recommended according to the University of Florida Extension Service. This variety is determinate--meaning it is a "bush type" plant that matures to 3 to 4 feet tall and wide. Bred by university horticulturists in Homestead, Flora-dade tolerates the heat and humidity better than other tomatoes in Central Florida from May to October. The red fruits are firm and flavorful, about the size of tennis balls. The massive fruits of the Mortgage Lifter tomato each weigh between 2 and 6 lbs. This heirloom (old-fashioned) variety hails from a home gardener in West Virginia who bred beefsteak tomatoes in the mid-20th century. Mortgage Lifter seeds were formally sold to the public in the 1980s. The tomatoes become slightly flattened spheres with a thick, sweet flesh brilliant pink-red in color with few seeds. Plants are indeterminate and are resistant to root-knot nematodes and fusarium and verticillium wilts. They also withstand the brutal summertime heat of Central Florida nicely.